Providing you the best range of Swati Analog CCTV Systems with effective & timely delivery. We offer a wide range of Analog CCTV Systems. 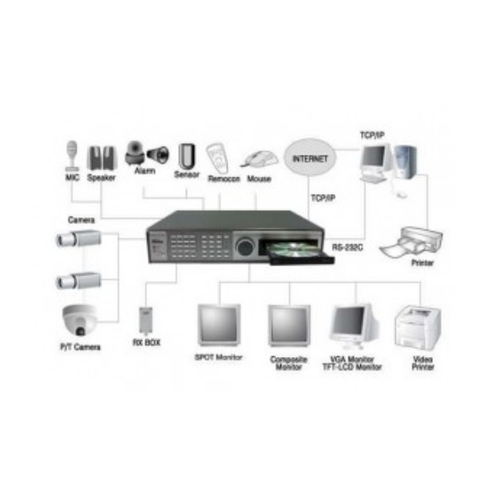 This system consists of Analog Camera connected using coaxial cable to Digital Video Recorder (DVR) which is used to record and store the CCTV video footage. This system can be used to monitor and record the daily activities at domestic premises or small business or small commercial premises like retail stores where upto 16 cameras are required. Our systems also have provision to view the current activities or the recordings on mobile phones. These systems are effective to prevent and check crimes in the society. There has been substantive decline in criminal activities at the places surveyed by these CCTV systems. These systems are widely appreciated for their superior performance and cost effectiveness.